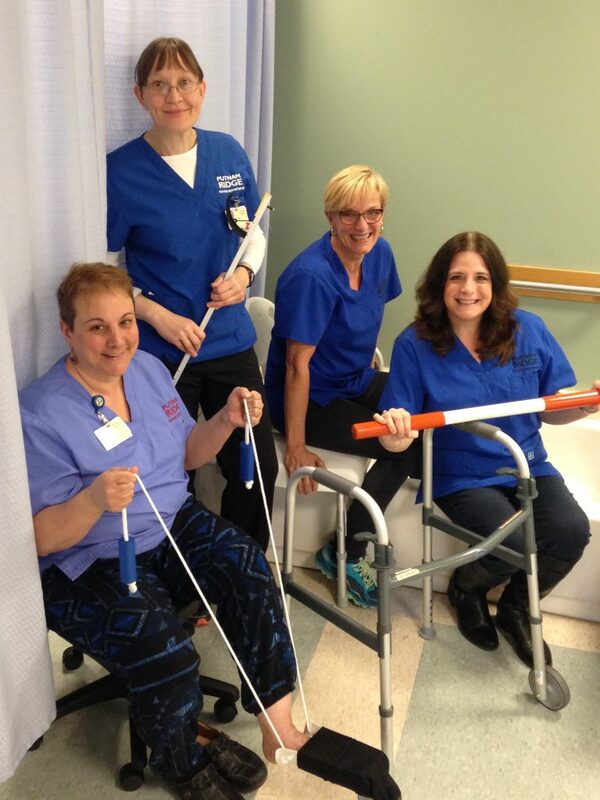 During the month of April, Putnam Ridge Nursing and Rehabilitation Center in Brewster is proud to celebrate National Occupational Therapy month by honoring and highlighting its rehabilitation therapy staff and program that is designed with “best practices” in mind. Occupational therapists (OTs) help people promote healthy living and prevent, injury, illness, or disabilities. Their purpose in the rehabilitation setting goes beyond just treating an person’s immediate needs, but aims to find strategies and modifications that are customized in order for each person to resolve problems, improve function, and support everyday living activities. The Putnam Ridge therapy practitioners work towards a goal to maximize a person’s potential and works within the limitations they are able to tolerate during the recovery process. Therapeutic approaches allow occupational therapy to design and develop an individual’s needs and skills, allowing them to adjust to their environment at home or at work and build health-promoting habits and routines that will allow them to thrive. The OT’s purpose is to go beyond problems to the solutions that assure living life to its fullest. These solutions may be adaptations for how to do a task, changes to the surroundings, or helping individuals to alter their own behaviors.